If there’s one thing the music business can’t seem to agree on right now, it’s the European Copyright Directive – and especially its controversial ‘Article 13’ provision. The European Parliament voted through a draft version of the new Directive on September 12, 2018. On that day, European Parliament Members (MEPs) voted 438 to 226 (with 39 abstentions) to proceed with the proposed copyright reform. Since then, a war of words has been waged between the likes of MEPs, YouTube, Universal Music Group Owner Vivendi, the global recorded music industry and publishers – with songwriters and artist groups now weighing in. The music industry’s differing views on how negotiators should proceed with the Directive follows last month’s communication breakdown between European member states after 11 countries including Germany, Belgium and the Netherlands voted against the then-latest draft of the bill, citing concerns over Article’s 11 (the ‘link tax’ provision) and Article 13. The Directive’s scheduled ‘Trilogue’ approval meeting on Monday January 21 was cancelled as a result. Last week saw those discussions resume after it was revealed that France and Germany, who previously did not agree on the wording of the Directive’s text, have in fact now reached a deal, the details of which were leaked by Poltico. The final phase of talks begin this week, with the ‘Trilogue’ officially starting tonight (February 11) after European Member states voted last week to use the France – Germany deal as an agreed position from which to negotiate. The France – Germany deal includes a number of ‘possible compromises’ on the wording of Article 13 and the ‘Definition of an online content sharing service provider’ under Article 2(5), which you can read in full here. A new suggested paragraph, 4aa, has been added to Article 13 which, as explained in this blog post by the anti-Article 13 and Pirate Party MEP Julia Reda, states that Article 13 will apply to all user-generated content services, apart from those that meet all of the following three criteria: (i) They need to be less than three years old, with (ii) less than €10m annual turnover and (iii) fewer than 5m unique users a month. Reda argues that Article 13 in its latest form actually “got worse, not better”, because “countless apps and sites that do not meet all these criteria would need to install upload filters, burdening their users and operators”. Back to the music business – last week on Thursday evening (February 7), in a shock turn of events an open letter was issued to the media, signed by labels and publishers calling on European negotiators to cancel the Directive. The latest draft of the Directive, argue these trade bodies, risks “leaving European producers, distributors and creators worse off”. The next day (Friday, February 8) songwriters, artists, producers and managers in the UK issued a response in disagreement and called on negotiators to proceed with the Directive negotiations. Signed by The UK Council of Music Makers (CMM) – comprising BASCA, FAC, MMF, MPG and the MU, the letter (which you can read in full below) suggests that “labels and publishers have shown an unsettling disrespect for the talent that they have the privilege of representing, raising serious questions about their suitability to be the custodians of copyright”. Additionally, the letter suggests that Article 13 is not the sole reason why labels and publishers would like the Directive to be shelved, stating that they “want to avoid the improvements to transparency and fairness that the Articles 14-16 bring”. Articles 14-16 aim to improve authors rights around exploitation of, and renumeration for, their works. “We are saddened that the short-term commercial interests of these companies can be put before modernisation of copyright legislation that will benefit the whole industry,” said the CMM. Today (February 11) with a few hours to go until the Trilogue starts, another open letter (also in full below) has been issued by GESAC (European Grouping of Societies of Authors and Composers) signed by 28 creator and rightsholder organisations including CISAC (International Confederation of Societies of Authors and Composers), urging negotiators “to improve and to adopt the Copyright Directive in the Digital Single Market at this week’s Trilogue meeting”. 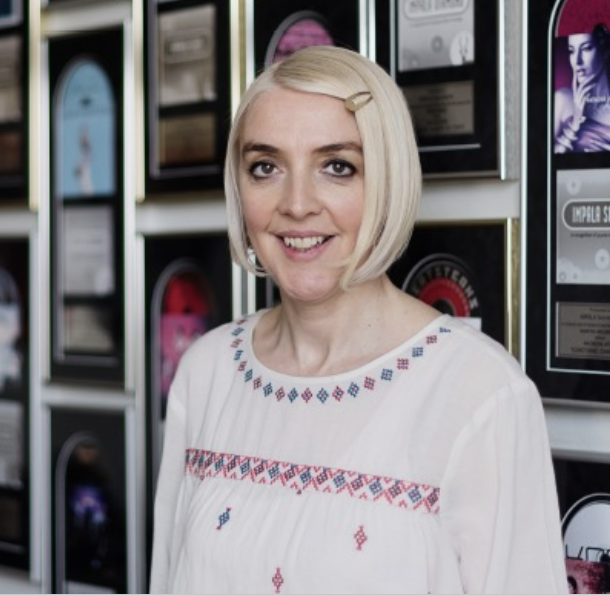 In spite of the divisions that have emerged in the music business over the last few days, a GESAC spokesperson has told MBW that they’re optimistic that a “satisfactory result” can be achieved this week. “The directive is long sought to put an end to the current unfairness in digital market, where free riding tech giants develop their business at the expense of creators and cultural sector,” they said. Distinguished trilogue negotiators, We, the undersigned organisations representing authors, performers, and others working in all artistic fields, news agencies, book, press and independent music publishers urge you to work constructively to improve and to adopt the Copyright Directive in the Digital Single Market at this week’s trilogue meetings.